Maybe all is not lost for true basketball lovers. A 19 year-old kid from Slovenia is showing the world that old school basketball is still alive. And it can be successful, too. Drafted in June 2018, Luka Dončić is proving to everyone that you can play the old way and yet be effective. This is true even in a league dominated by super athletes and in an era where it seems that the only thing that matters is shooting three-pointers. To be clear, Dončić does not refuse to shoot from the arc or to use the step-back, a move that is so trendy nowadays. But these skills are in addition to a set of others that most modern players—and coaches—seem to have forgotten. I’m talking about the fundamentals on which generations of players worked relentlessly to perfect their game. To me, this combination of ancient and modern skills makes Dončić so unique. Thanks to his immense talent, in almost every game, Dončić makes a couple of plays that blow the audience away although he is not the fastest player on the floor nor can’t he dunk on everybody’s head. Fans of the Dallas Mavericks—the team for which Luka plays—have fallen in love with him. They truly look at him as the savior who will make the Mavs great again. His ability to read game situations has been amazing but nobody could have predicted the impact he would have had on his team from day one. He can now do what only the greatest players can do: to improve their teammates’ game and increase the team’s chances of victory. He has gotten used to the NBA so quickly that it seems he has played in this league for ten years. The comparison with the other rookies has been blatant. Apart from his remarkable statistics, Luka appears to belong to an entirely different league. The media reaction has been no less dramatic. Even the analysts that were skeptical about him have had to admit this guy is special. Some of them have even compared him to Larry Bird, one the greatest player ever. 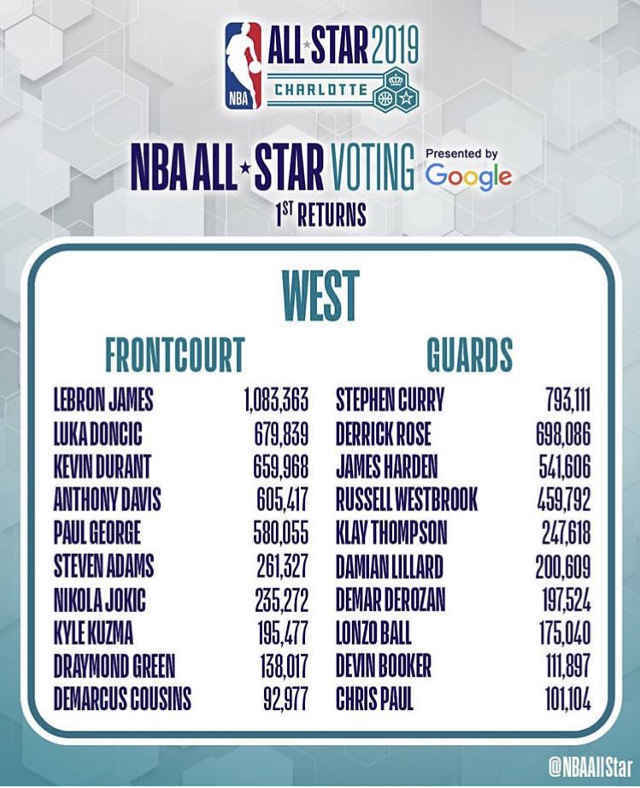 At the time of this writing, Dončić got more votes for the All-star Game than a superstar like Kevin Durant. America is literally going crazy for the kid from Slovenia. If we took our best kids and seven years before they are McDonald’s all-American, we sent them over to Slovenia to get an education, the league would be a thousand times better. They just learn how to play basketball while our guys learn how to dunk and put together mixtapes. I discussed this topic with my friend Adam who is a huge fan of American sports. He explained to me that this approach is due to the success of AAU tournaments. These competitions are used by young players to show off. They know that in the audience there are coaches and scouts of colleges looking for the best players to recruit. That’s why each player is focused on showing off his skills and scoring as many points as possible, regardless of the rest of the team. What is worse, these kids are endorsed by their parents, who hope their children become successful and rich as quickly as possible, even if this means they won’t to get a degree. Universities, which are run like real businesses in this regard, are in turn eager to recruit such talents because they bring in a lot of money. At the end of the day, chasing immediate success not only produces players who don’t develop their full potential but also limits their growth as people. Besides his innate basketball IQ, the fact that Dončić was raised in a solid European club—Real Madrid—is probably the reason why he is so ready to compete and succeed at the highest level of the game. At the age of 19, he moved from one continent to another, where he has had to face the best players in the world every night and has to live in a totally different society. And he did that after playing about 120 games in two years, in which he won the Euroleague tournament—the best league in the world after the NBA—with his club and the European Championship with his national team. This is an example of an emigrant who has managed this transition brilliantly and has seemed not to suffer any form of saudade! If you think about it, the way Luka was raised is exactly what colleges were supposed to do: to prepare young athletes/students to compete in sports and in life as well. Concerning the game of basketball, I really hope the hype surrounding Dončić could be a wake-up call for the NBA and the basketball world in general. The unpredicted success of Luka should prove that global basketball consumers can appreciate things other than “dunks and mixtapes” too. This should make the people in the war room rethink the business model they have endorsed and promoted in the last decades. If they don’t want to do it for the game, hopefully, they will do it for the money. Here [in the NBA] it’s easier to score compared to Europe, of course. In Europe, the court is smaller and here there is the three seconds rule. I think it’s easier to score here. This should make uncritical NBA lovers think about what this league has become today. If a player had dreamt of saying such a thing in the 90’s, he would have sounded crazy!